What are Fallout 76 CAMPs and how do they work? In Fallout 4, you had the option to visit and liberate different settlements around the map and build to your heart’s content. Thanks, Preston! 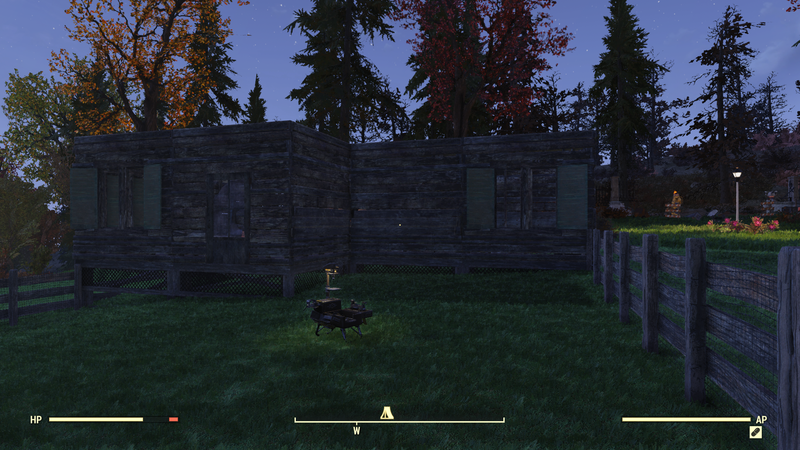 The same building mechanics are present in Fallout 76, but with the Construction and Assembly Mobile Platform (C.A.M.P.) you can choose where to set up your settlement, whether that’s perched atop a mountain, hidden in forest, or next to a major map marker so you can easily stash your plunder. 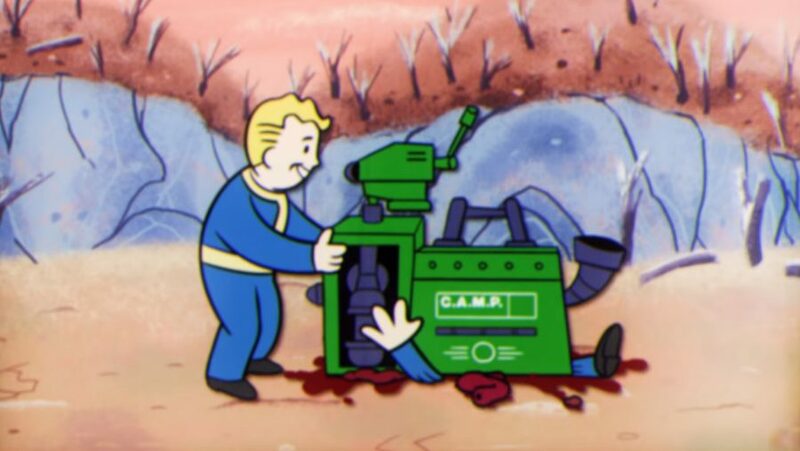 You’ll receive the CAMP just before exiting Vault 76 and are free to use it as you wish from then on, but before you head off into the wastes to go and set up your dream post-apocalyptic fortress you should go and see the Overseer’s CAMP. This is one of the first parts of the main questline and you can find the Vault 76 Overseer’s C.A.M.P. within a couple of minutes of emerging into the Appalachian wastes. 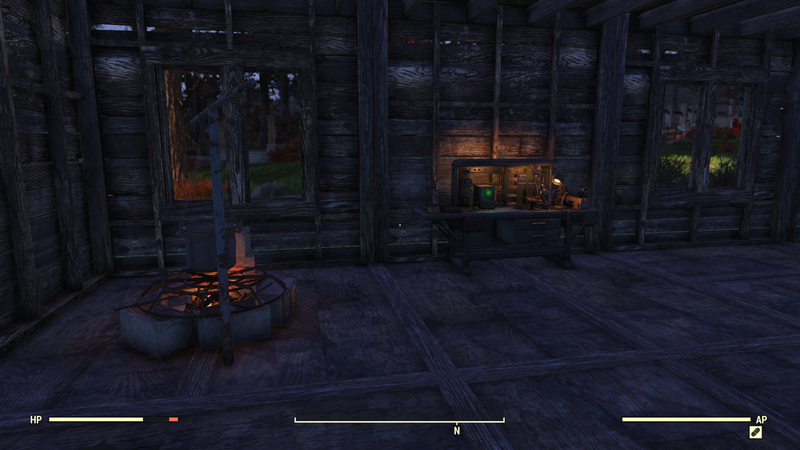 This site is your first introduction to the new CAMP system, including the various workbenches and your Stash. You can use the workbenches here to scrap any junk you’ve picked up on your short trek so far, and to repair your armour and weapons if you have the necessary materials. If you’ve gone off exploring the surrounding areas before approaching the CAMP then you may also have enough resources to craft some basic leather armour. The workbench you will be able to make the most of at this early stage is the Cooking Station. You can cook any raw meat you’ve harvested off dead animals here. Since you always need to pay attention to your hunger and thirst, we’d recommend hanging around here for a bit and hunting down some animals to roast so you don’t go hungry later on – you don’t want to catch any diseases from eating irradiated or uncooked food. Think of your CAMP like a mobile settlement. You can place it almost anywhere in the world; the only restriction is that it can’t be too close to an existing location or road. This prevents players from setting up shop slap-bang in the middle of a town for example. Instead, you need to find somewhere slightly more isolated that also isn’t near anybody else’s CAMP. When you find a suitable spot, that’s where the real fun begins. Place your CAMP down and you should see a green perimeter that dictates how far you can extend your building. You can build anywhere within the designated zone, but there is a budget meter in the top right-hand of the building screen that shows how many more structures you can place down. Whether you want to build a small shack with the bare necessities then deck the outside with defensive turrets and traps, or create a huge house with multiple floors and decorations, the choice is yours. Make sure you put locks on all of your doors though – other players will be able to get in, use your stuff, and even plunder some loot otherwise. Here is where you can build and place your Stash. This is an container that’s personal to you, so nothing you place in here can be stolen. You can access items placed in here from any Stash box across Appalachia – you’ll find one in pretty much every town and train station in the state. On that note, don’t worry about building other storage containers for quite some time as these can be broken into by other players and looted.The Stash also has a generous weight limit of 400 lbs – you’ll hit that eventually, but it’s more than enough at the beginning. And you can usually free up more space by making sure you’ve scrapped all of your junk. Before you’re able to get stuck in to the building though, you need to ensure you’ve found the plans for what you want to build, otherwise you’ll find a huge number of structures and items are unavailable to you. Plans are found throughout Appalachia, on dead bodies, in storage trunks, sat atop desks, being sold by vendors… you’ll need to find a plan for pretty much everything you can build beyond the basics like wooden walls and standard turrets. That’s why we strongly recommend exploring and making the most out of the Overseer’s CAMP first, along with Public Workshops. The terrain of Appalachia is incredibly varied. From the mountainous Savage Divide to the smoggy Ash Heap, or even the terrifying Mire region, every location offers something unique. The problem with setting up CAMP in the high level areas is that enemies often spawn randomly and roam around. That means you’ll often find your base infiltrated by Mutant Hounds, Diseased Mole Rats, Bloatflies, and worse. We’d recommend finding somewhere fairly open so when you are in your base, you can see any enemies that might be approaching. Consider finding somewhere with minimal foot traffic from other players too, so you can avoid any potential thievery or trolling. 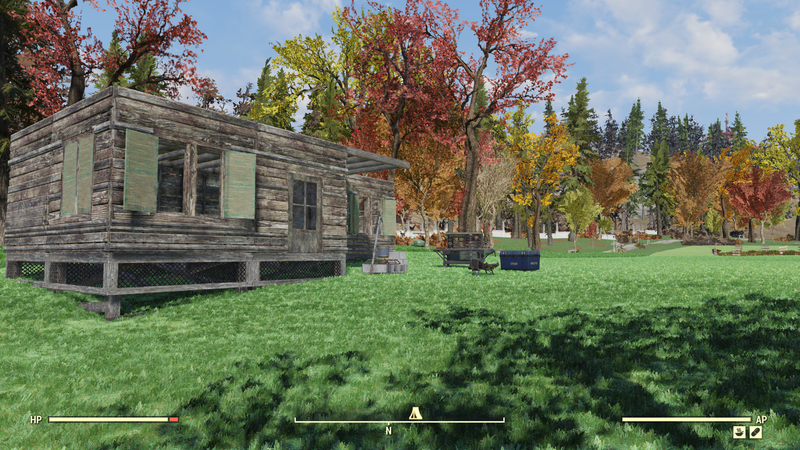 The best CAMP location we’ve found is by Whitesprings Resort, which is the huge golf club near the middle of Appalachia that’s modeled on the real life Greenbrier Resort. 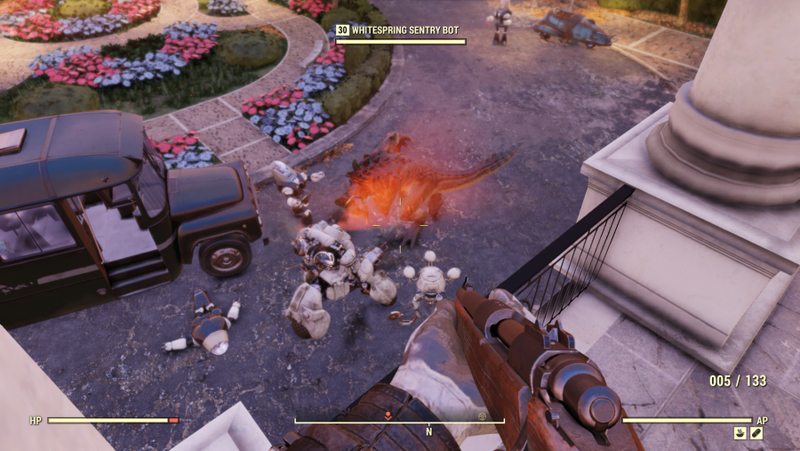 The entire place is filled with friendly robots defending it from Feral Ghouls, Yao Guai, Deathclaws, and other radioactive monsters. The patrolling robots tend to deal with enemies pretty swiftly so you don’t have to worry too much about placing down hundreds of turrets – you’ll get plenty of XP if you help out the robots, too, so this can be an effective way of grinding a few levels. Head to the golf courses and they should be far enough away from the main building that you can place down your CAMP without a hitch, but still be within the robot patrols for some free defence. The golf courses are flat and open, which is ideal for both scouting enemies and building without any hitches. Of course, every now and again some enemies will manage to slip by the patrolling sentry bots, so this CAMP location can be risky, particularly when it’s an enemy like a Scorchbeast. Still, given the defenses, access to high level enemies, and wealth of loot-laden surrounding locations, this is one of the best places to set up shop. The best part about the CAMP is that you can pack it up and move somewhere else whenever you want. If you save your entire base as a blueprint, which you can easily do within the build menu, then find somewhere else you’d prefer to operate from, you can move your C.A.M.P. for a few caps and instantly spawn in an identical base from the saved blueprint. It’s like a mobile home you can customise and change on the fly. One thing that’s worth bearing in mind is that your blueprint won’t always place perfectly, especially if you placed your last CAMP on a hill and you’re now trying to settle on a flat piece of land. For this reason we advise only saving the parts of your CAMP that will transfer easily when making a blueprint. Along with having your personal CAMP you’ll also come across locations called Public Workshops. These are situated at existing locations and act as permanent CAMPs that everyone can claim and use. You need to temporarily claim it when you find one though by clearing the entire location of enemies. This will allow you to use the Public Workshop to build whatever you want within the area, make use of all of the workbenches, and more. Public Workshops are ideal in the early game when you haven’t found too many plans and you’re unable to build everything you want at your personal CAMP, but they’re also highly sought after among high level players as they often provide access to rare resources. The key difference between a Public Workshop and a CAMP though, is that other players can claim your Public Workshop and you’ll lose everything you built there when you log out of the server. As these locations boast enough materials to build a fort without having to use any of your own resources, so you can quickly construct a base at no cost to yourself. Public Workshops are also the same on every map, so you will be able to reliably find key resources at each one.